It was a beautiful Northern California morning when I woke up for my 25th year as a human being. 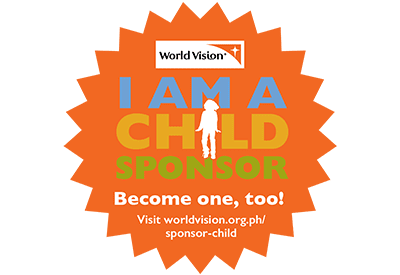 I arrived at the United States last June 1st and three days after, it was time for me to add up another year to my life, another number as my age. 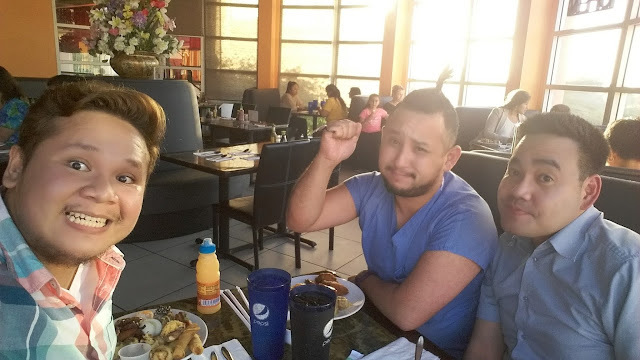 I have not been to America for almost 18 years and it was really thrilling for me to finally be back. I still have both vague and clear memories of my childhood in America but of course, things have changed, a lot of things have changed. Hayward, California is a quiet city along the bay area where my brother lives, a city I learned to love and call home. 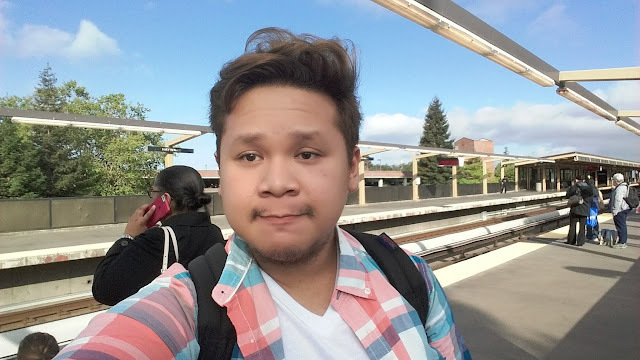 A train ride away to San Francisco, I left at around 8:30 am through the BART together with my brother Kuya Jon. BART stands for Bay Area Rapid Transit which services all the major cities across the Bay Area including Downtown San Francisco, the Peninsula Area, and the Cities across the East Bay. We got off at Montgomery Station, which was the first BART Station on downtown San Francisco crossing the transbay area coming from the Oakland and the East Bay. 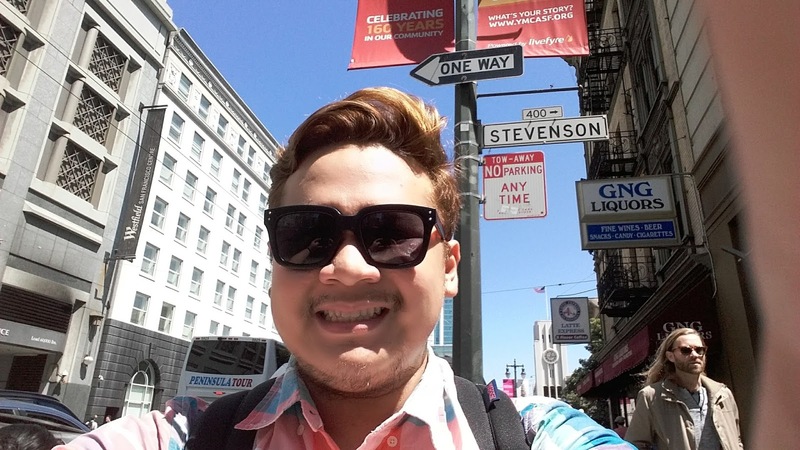 Kuya Jon and I parted for he has work for the day and then I started my birthday trip all around the foggy city. 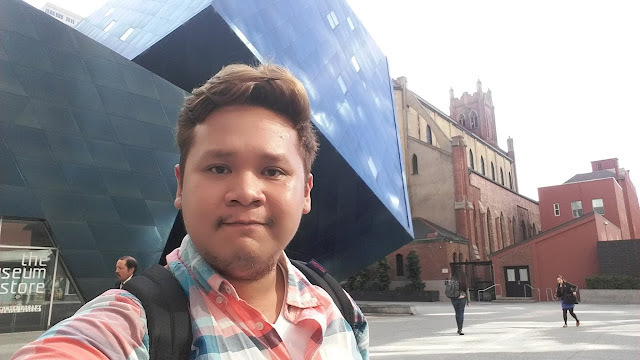 I took some pictures at the San Francisco Contemporary Art Museum that has this giant Cube Building and just in front of it is the Saint Patrick's Catholic Church. There I prayed for thanksgiving for the gift of Travel that I received and am enjoying at that very moment. Right after, I went and walked more up towards San Francisco Centre near Powell Street, which was still closed during that time. Passing through the Yahoo! 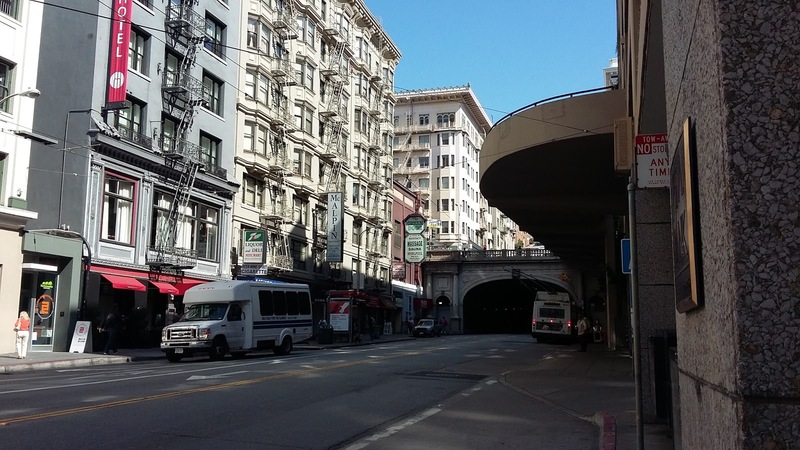 Office, Union Square, until I found this giant weird looking tunnel that has a hanging street above it which was part of Stockton Street. Walking inside it led me to it, Chinatown! It was the second time I was there since my brother Erson toured me around the city on my second day so I am a bit familiar of the place already. 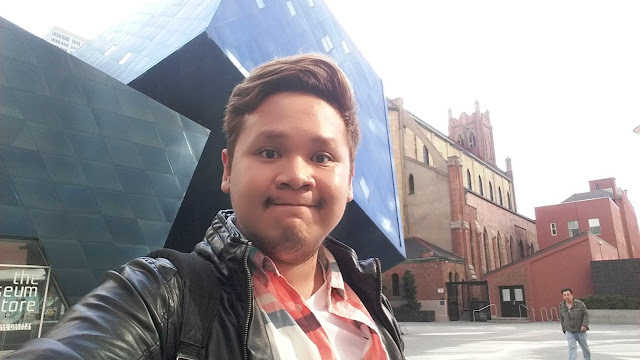 I can easily get familiar through places especially if there are landmarks that I can follow throughout the streets. And also, I don't have a map or any mapping device at hand that time. Well, I do have my phone with GPS with me but I just don't want to use it the whole time since I'm in it for the adventure. I walked through Chinatown sightseeing all the shops and stores that were so busy during that time. it was a couple of hours before lunch time and food houses are packed with people waiting for their orders to be taken and served. I passed the bakery where me and my Kuya had lunch the time we were there and then went straight to one of the places I would really like to visit over and over again, the National Shrine of Saint Francis of Assisi. 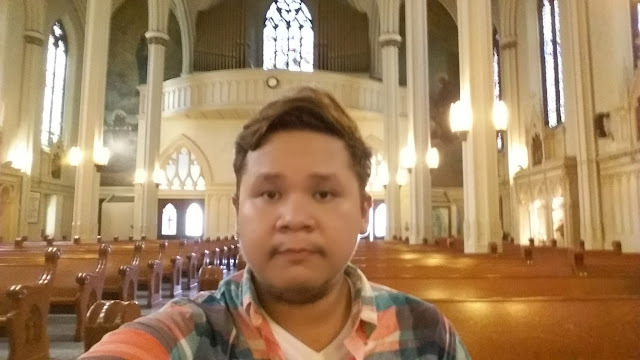 I was the only one inside and since the lunch mass was just abut an hour away, I decided I'll join the mass after I get myself some drinks and use the restroom. I walked out of the church and look for the nearest Starbucks. 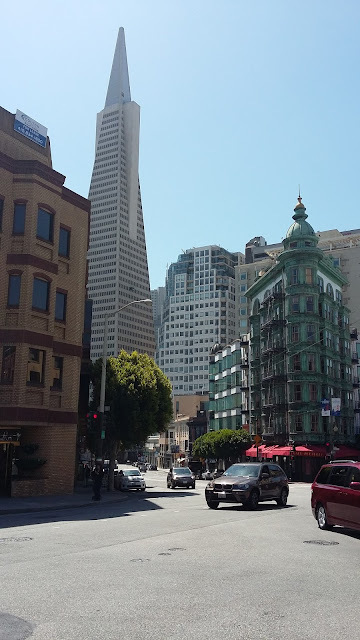 I walked downhill towards the Transamerica Pyramid which is one of the famous landmarks of the San Francisco together with the Golden Gate Bridge. 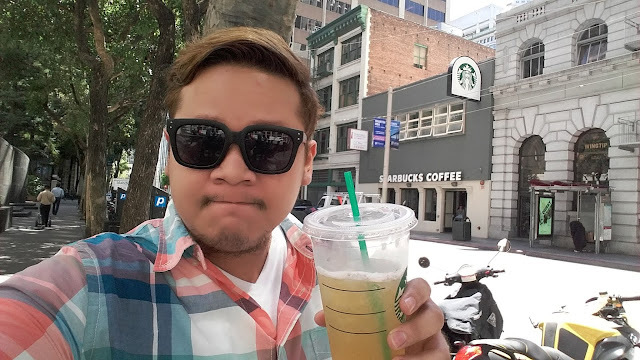 Went inside Starbucks and got myself a Venti Peach Green Tea Lemonade and used their restroom. I brought my drink with me and walked all the way up back to the church. Still it was barren and quiet and very peaceful, when the clock struck 12:15, the priest came out and fixed the things needed for the mass and it started. It was a very solemn. I feel so blessed being on that very place, at that very moment. It really is a different way of celebrating my birthday with so much serenity and blessing. We were just about 5 or 6 inside the church throughout the mass and when it was done, I walked up in front to greet the priest. His name is Fr. John De La Riva and he is probably the nicest and the sweetest priest I have ever known. I introduced myself and I told him it was my birthday and when he knew, he prayed a special prayer just for me. It was a very beautiful prayer. 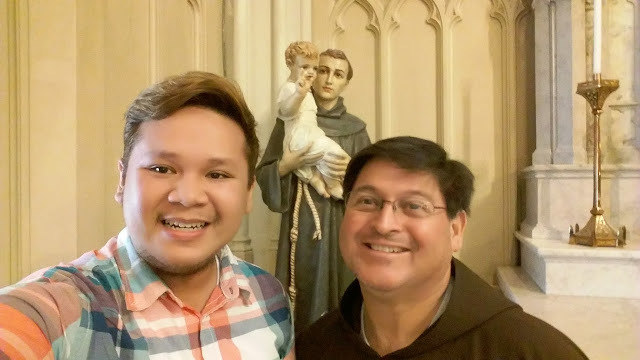 After that, I asked him for a picture and he agreed and we even did a selfie with Saint Anthony of Padua. I will never forget Father John, ever! 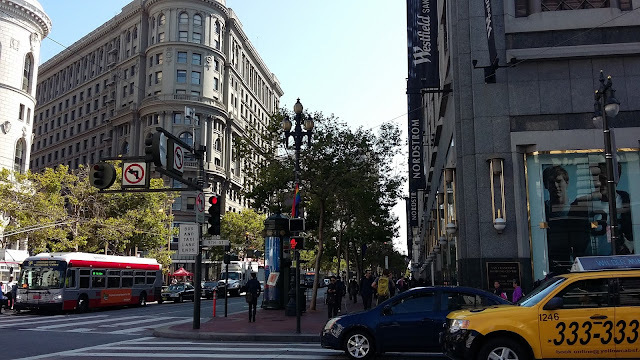 I continued walking after I got out of Little Italy, all the way back to Chinatown, and said a prayer at Saint Mary's Church and then back to San Francisco Centre. There I went down to the lower ground floor and to this sport's apparel shop called CHAMPS. There I got this very pricey Golden State Warriors Finals shirt which I decided to give to my cousin. Just near the Centre was Yerba Buena Gardens which I would really like to visit next but then it happened, I got lost! I was walking around in circles and weirdly, I was still enjoying the fact that I was lost, I then saw something! STEVENSON STREET! Now I knew why God made me lost for a few minutes so that I will see this street, it was my street! 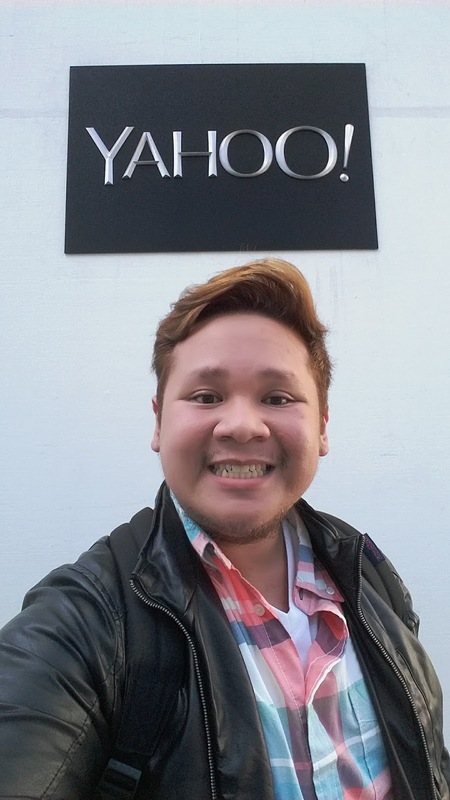 I took a few selfies and finally I found my way to Yerba Buena Gardens. 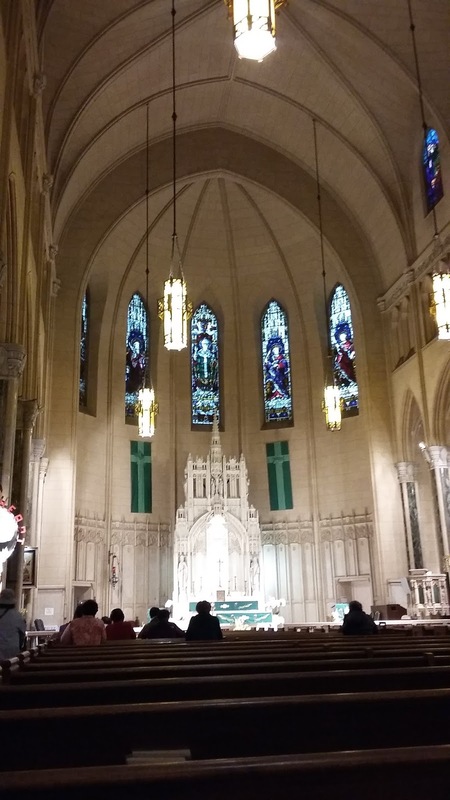 I spent all the remaining time there and at St. Patrick's church which was just across the park. 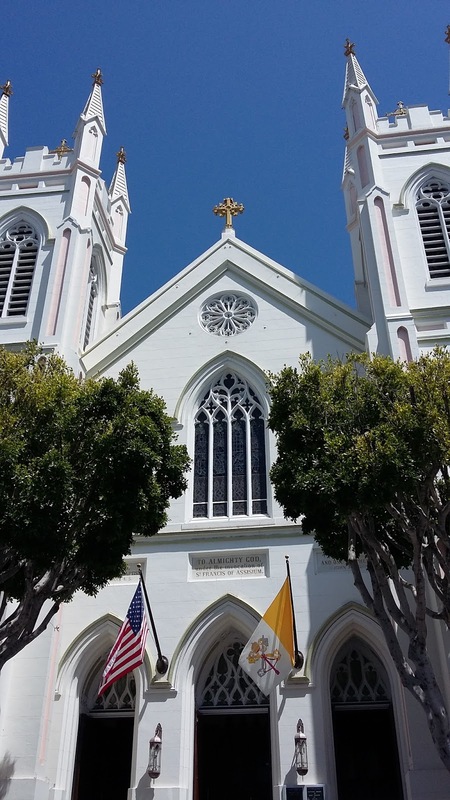 St. Patrick's is the church of most Filipino Catholics in the San Francisco Area. I lit a candle for San Lorenzo Ruiz. When Kuya Jon got out of work, we met up again at Montgomery and rode the train back home to Hayward. Kuya Erson was waiting for us and we continued the celebration at the Kokyo Buffet in Downtown Hayward. It was truly one of the best Birthdays I ever had since my Mother threw me a surprise party when I was 16! This Birthday spent alone gave me a sense of independence, liberation and solitude and I thank God for this blessing. I will forever remember those momentsspent at San Francisco and will never get tired of going back to this city, my favorite city ever! Now the question is,"Where will I be on my 26th Birthday?"